(Feel free to agree or dispute this statement in the comment section). Debbie invited me over last week for Taco Tuesday on her patio. On my way there, she called to ask me to bring grated cheese, sour cream and sparking water. Oh yeah, and tortillas! Good thing I was coming. blended with tequila and frozen mango cubes. That’s it. We ate dinner outside with candle light. 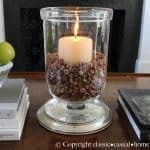 Please check out Inspired By Life for bloggers’ interiors that Staci Edwards admires. 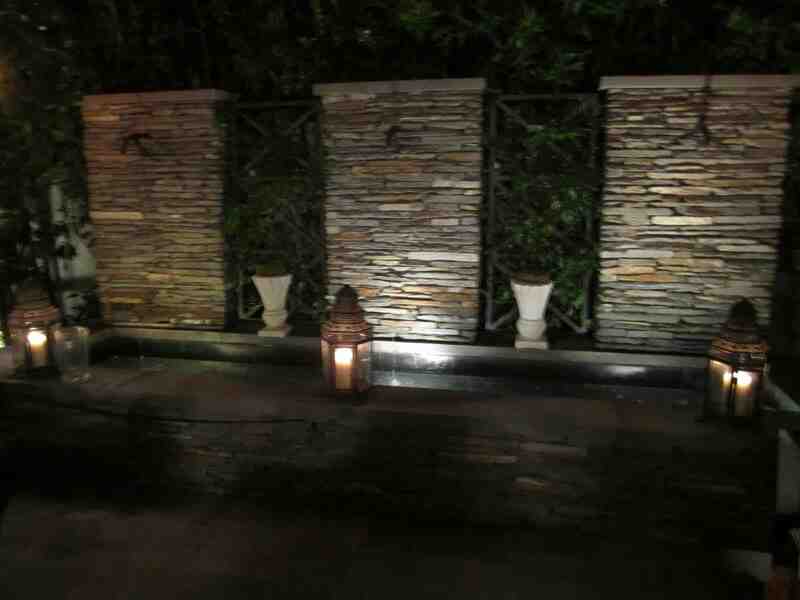 Ok, that patio is gorgeous & I love the stacked stone. The margaritas would be a nice touch! Holy tortilla! I wasn't looking at the food though it DID look quite amazing but her house! Absolutely stunning! Why dont you see if you can convince your friend Debbie if you can feature her GORGEOUS house on an upcoming post?? 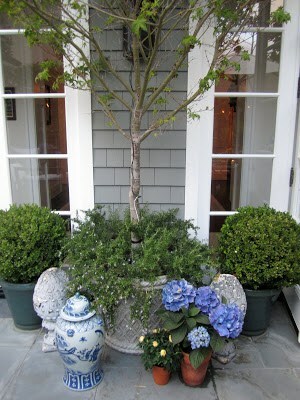 (I am such a decor/design junkie, my heart beats a little faster when i see a pretty house)!! Love all her touches, beautiful! I must get my hands on that margarita mix. Blended with mango? Yes, please!!! I must say, your friends home is gorgeous! From her kitchen to her patio, I am loving it all. I had fish tacos in San Diego that were out of this world. I haven't found anything close to them since!! 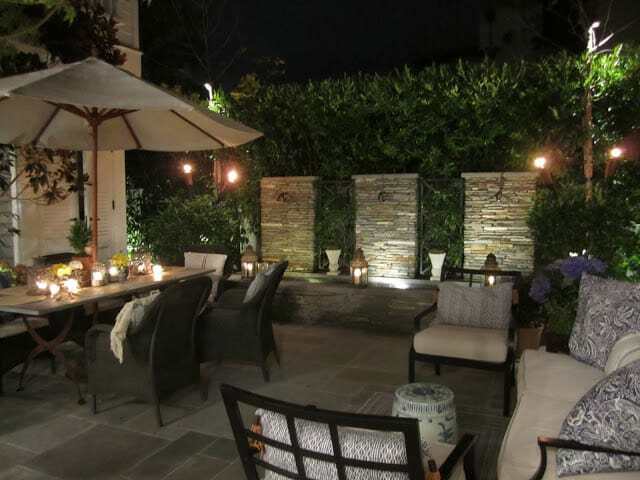 Debbie's home and outdoor space is just beautiful…what a magical night it must have been! I love your patio! And yes, Southern Cal. has great Mexican food. Gorgeous home and I love themes. I'll will have to try Taco Tuesday. My kids would love it. We enjoy Champagne Thursdays! We love Mexican food. SO far I love Corazon del Mar in Nantucket and we also love Miguel's Cocina in Coronado. I love ordering fresh tortillas. Thank you for sharing. Love their kitchen and patio. "Champagne Thursdays"…giving me a great idea! What a beautiful location–and margarita! I'll be on the hunt for that mix. YUM!! And Gorgeous kitchen and outdoor dining!! I so need fish tacos! I'm liking the sound of Taco Tuesday and mango margaritas. Yum!! Everything looked delicious and the outside setting so inviting. Nothing better than being with good friends. We love tacos here and I need to try your recipe! Yum!!! 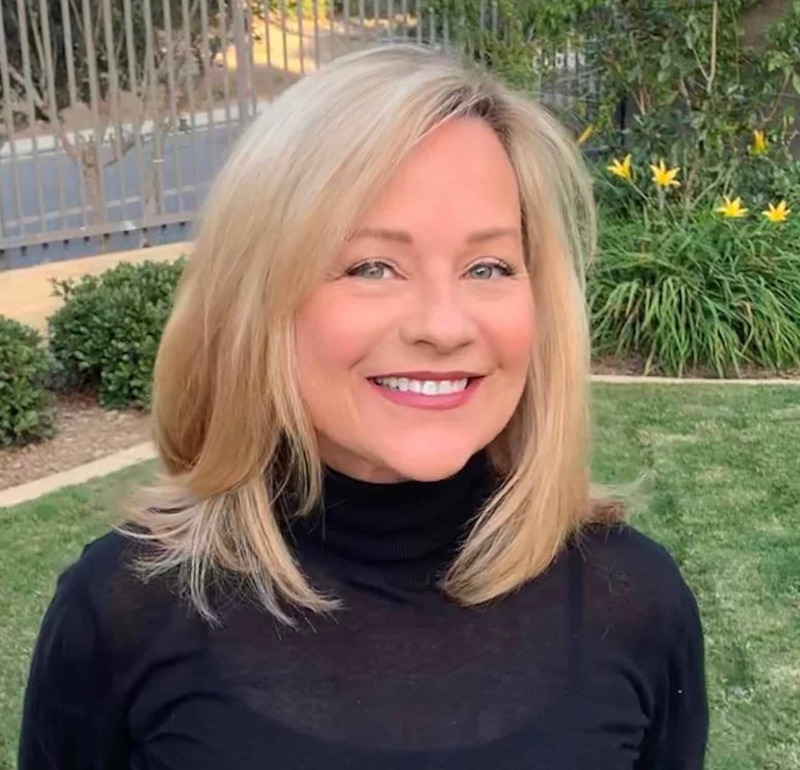 I need a Taco Tuesday – actually a Margarita Monday would be good too…Yes, I agree, Southern California has great Mexican food! I wish we had a good place around here! Your friend's home is beautiful! 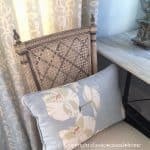 Those Pottery Barn pillows match the lampshade in my bedroom – I should get the pillows! Thanks for sharing with us! Your friend has a really beautiful home. Love her kitchen and patio! P/S: By the way, I am hosting a fab giveaway. Come by and enter for a chance to win a beautiful and personalized necklace courtesy of SimaG Jewelry! 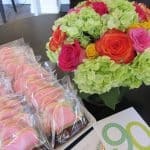 Hi Mary Ann~ That dinner looked beautiful. What a nice evening. We have two mexican restaurants that are worth going to here but nothing like you have in California. I agree with you on grading system. California gets an A! What a beautiful home! We do Taco Tuesdays here, too. It's kids eat free night at Moes. It's not real authentic Mexican food like in Cali, but the food is fresh and tasty enough. Your friend's home is just gorgeous! Thanks for sharing. Although margaritas are one of my favorite drinks I never order one east of the rockies. I think El Cholo has the best. Looks like a beautiful evening. Out here in West Texas, it is TexMex food and the best there is! Yummy. Love tacos. And all authentic Mexican food. Especially tamales. One of these days I am going to try and make them. Great backyard!! What a delightful setting and the candlelight is perfect for an intimate dinner with those margueritas! I always eat Mexican when I travel to cities with authentic cuisine. As I recall San Diego has some excellent ones. One might not think of Philadephia but I can think of one or two there. Absolutely! Southern California has the best Mexican restaurants. 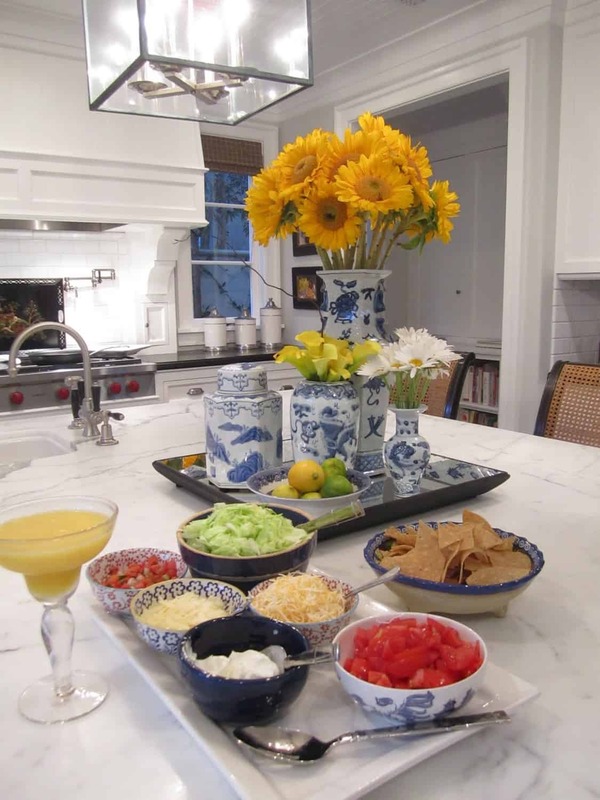 The Taco Tuesday party sounds like so much fun and the setting perfect! Hmm, Champagne Thursday sounds wonderful too!!! I would not even think of eating Mexican food outside Texas (where I live), maybe in California but no where else. Texas has the best Mexican food. This drink and meal looks wonderful, and the dining outdoors is perfect! I love Mexican food, and we have a couple of great restaurants. Her home is so lovely…I love the lighting on the patio…would love to curl up with a blanket in the fall! I agree with your grading system for Mexican food in all those cities. You do have the best places for tacos…I love the way you brought the cheese, tomatoes, etc…looks so pretty in little bowls on a tray. Sounds like a prefect Tuesday to me! btw…did you live in all those cities while your kids were growing up? 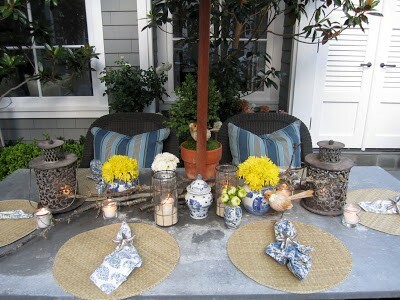 Love this entry…Debbie's home always looks gorgeous and I felt honored to partake in the mexican fare that night! I know the food was delicious, but her home and patio…fabulous!! Love all of the blue and white and nothing makes my heart sing quite like sunflowers…adore every inch – itching to see more!! I love your patio!! Great photos. Okay a few things here: I need to see more of your friend Debbie's kitchen!! It looks gorgeous! Looks like you had a great night over there! 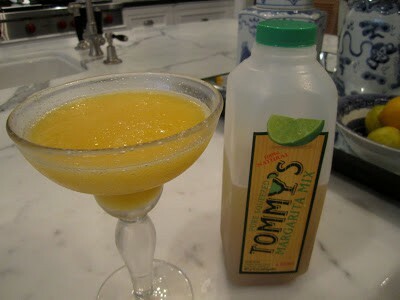 My friend Craig makes the best Margaritas ever, so they have been renamed 'round here in his honor: Craigaritas! All I know is that there is Patron and Grand Marnier in them. They are unfortunately quite yummy. Lastly I am not surprised at all about Staci Edwards loving your kitchen! I told you it was dreamy! Haha! I'd agree with your assessment, however, I've had some pretty terrific Mexican food in the Mission District of San Francisco. In any case, I think it is funny that you had Taco Tuesday. So did we! Yum, This looks so good. What a beautiful place for your dinner. 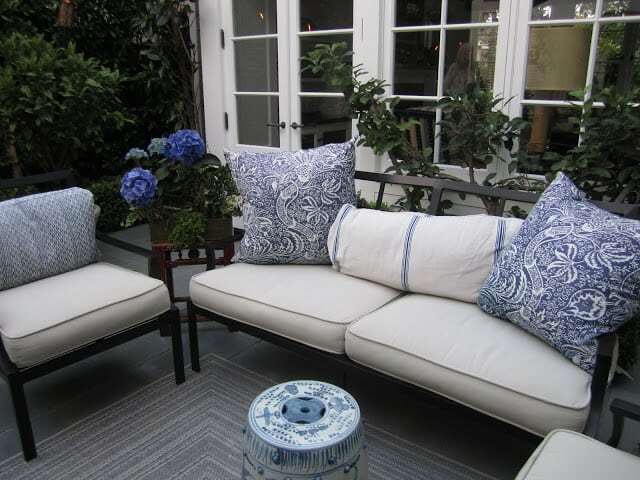 Your friend's home and patio is lovely. Love the blue and white. I am a blue and white lover. Thanks for sharing. Frozen mango cubes in a margarita? That's genius! The photos are so beautiful! I didn't realize how beautiful they were until I caught myself staring at them for several minutes – just to take everything in. Your home is so beautiful, love your patio, what a wonderful place to entertain. Your taco night looks quite special. Came by way of Enchantd home who featured this post today, and i can see why! Just discovered your site, and am loving it, so many beautiful things! I love Lido and have a friend who is in the process of buying a second home there. Love the stadas. May I suggest Martini Mondays on the Duffy? It is really a great and helpful piece of information. Iˇm glad that you shared this helpful information with us. Please stay us informed like this. Thanks for sharing.